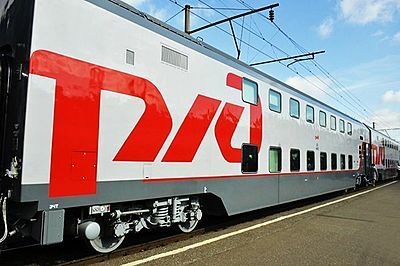 Double-Decker trains were launched in Russia in 2013; starting from February, 2015 they operate on Moscow - St.Petersburg route. 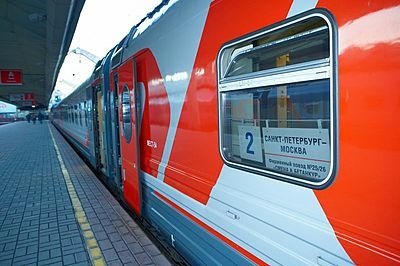 The train 003/004 Express is a fast train with an increased level of service operating on St. Petersburg to Moscow route. The train has VIP 1st, 1st and 2nd class cabins.There is also a restaurant car with a wide range of main courses, salads, desserts and beverages. The train has 4 types of VIP cabins and also regular 1st class and 2nd class carriages. This St. Petersburg train has a very nice dining car that serves good meals. Travelers can also order food and drinks to their compartment. 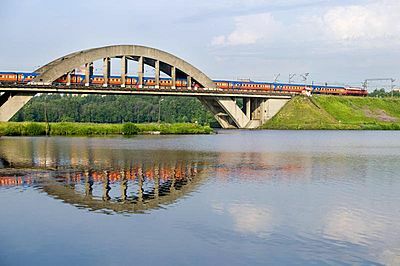 Express train "Megapolis" #19/20 has been operating between Moscow and St. Petersburg daily since October 2006. The train consists of new modern 1st and 2nd class carriages, produced by Tverskoy Car-Building Factory. The train is managed by Tverskoy Express Company and offers high lever of service and comfort. 1st and 2nd class tickets are available with and without meals. The Red Arrow is probably the most famous Russian train. This was the first firmenny (branded) train in USSR. The train even has its own theme song that plays as it departs from the station. The train has VIP 1st, regular 1st and 2nd class carriages. Thre is also a nice restaurant car that serves good meals. 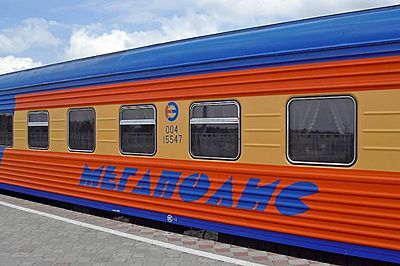 Smena train was named in honor of 65th anniversary of a popular Russian youth magazine. The train has an interesting tradition: only graduates of the St Petersburg State Transport University work here. In November of 2009, the name was changed to Smena–A.Betankur. 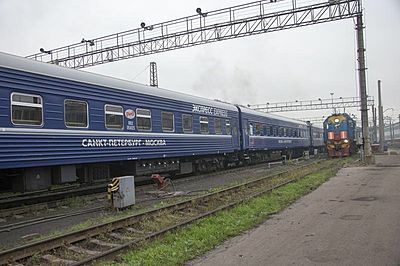 Firmeny train Two Capitals operates along the Moscow - St-Petersburg route since 2005. The train has 1st, 2nd and 3rd class carriages plus a restaurant carriage. All compartments have air conditioning and heating. On the Moscow to St. Petersburg route, there is a huge variety of trains to choose from. From 8-hour overnight trains to high-speed day trains, from the luxurious to the basic – you can always find a train that will suit your needs. 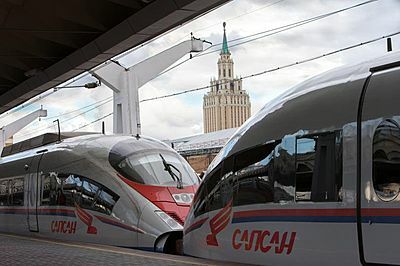 Electronic tickets are available on Moscow to St. Petersburg trains making your travel arrangements quick and easy.